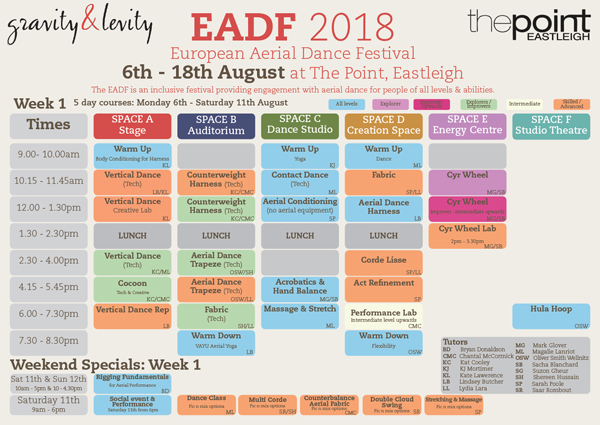 We are delighted to announce the timetable for the 9th annual European Aerial Dance Festival 2018! The festival will run Monday 6th - Saturday 18th August inclusive at The Point, Eastleigh, UK. 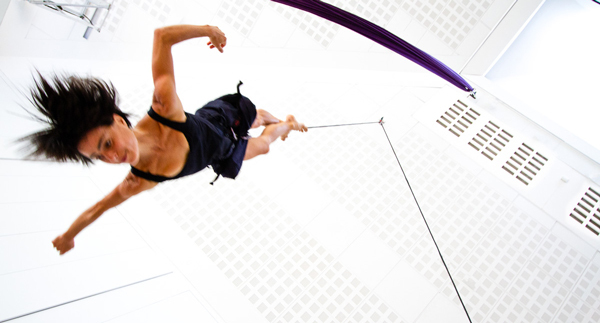 You can see we have all new week-long and weekend courses this year - including double cloud swing, multi corde and rigging fundamentals - as well as returning favourites - creative and performance labs and over 10 technique courses. As always, we will host some of the best artists and educators in their fields, all housed within the fabulous facilities at The Point. 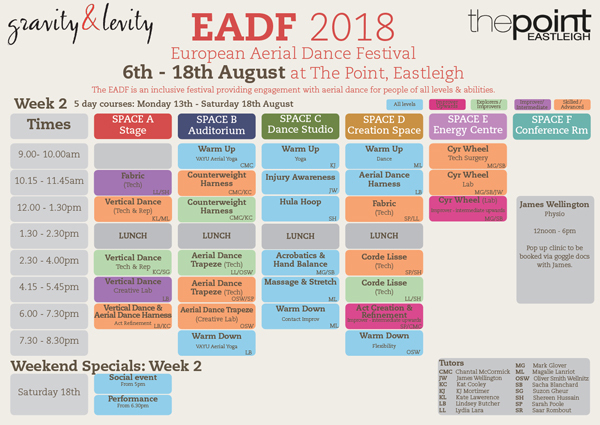 We'll release all the EADF info via the festival website from Tuesday 27th February and will have a brand new swanky booking site live from Tuesday 14th March, so keep your eyes peeled for them. We look forward to seeing you there, so get those dates in the diary! Copyright © 2018 Gravity & Levity, All rights reserved.